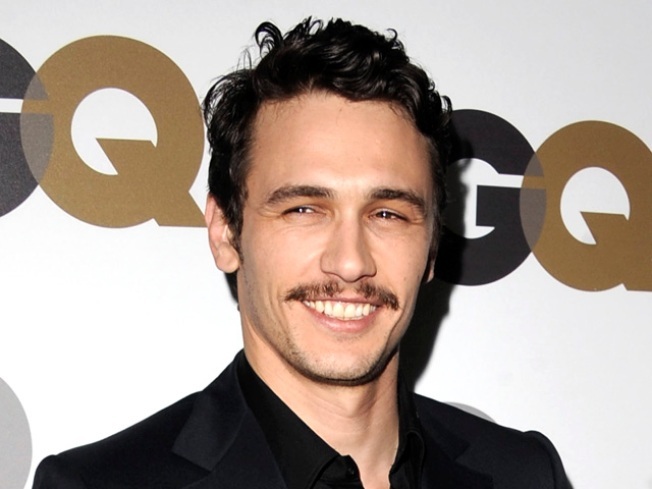 Trying to pin down who, exactly, James Franco is can be daunting. But then again, it may also go a long way to explaining why he's currently such a hot property in Hollywood. He took a lot for heat for the too-cool apathy he showed in hosting the Oscars this past weekend, a stance that was highlighted by co-host Anne Hathaway’s boundless energy, but the gig itself may be more to blame for that than Franco. Hosting is a thankless task (just ask seasoned comedy vets like Jon Stewart or David Letterman) that is tough to do much with. Even if, like Franco, you have absolutely no problem dressing as Marilyn Monroe. But for a true taste of Franco in his element, check out the movie that earned him the Best Actor nomination in the first place: "127 Hours," new to DVD and Blu-ray today. The film is based on the true story of Aron Ralston, a mountain climber who in 2003, went hiking in Utah’s Canyonlands National Park, where he eventually finds himself at the bottom of a narrow canyon, with his armed pinned under a boulder. 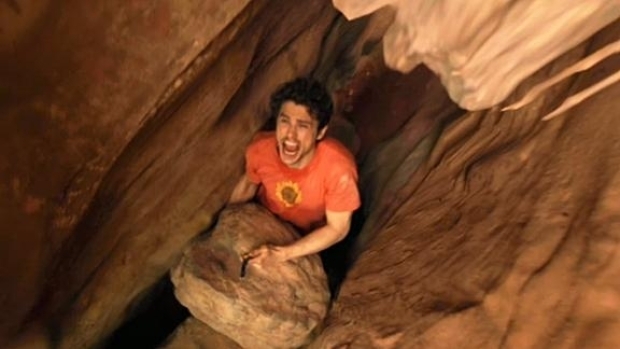 Over the course of the next 127 hours he videotapes a diary of his ordeal, drinks his own urine and finally comes to the realization that his only chance for survival is to break and then saw off his own arm. From director Danny Boyle comes James Franco as Aron Ralston, a real-life mountain climber who in 2003 had his right arm pinned beneath a boulder, leaving him ultimately with no choice but the hack off his own arm. Every frame of "127 Hours" is riveting thanks to director Danny Boyle's unparalleled storytelling abilities and Franco's performance, one that ricochets from emotional peak to valley in a hair's breadth. It becomes obvious why Franco has been so at ease flipping between drama ("Milk"), goofball comedy ("Pineapple Express") and even action movie villain ("Spider-Man 2"). Equal measures heartbreaking and exhilarating. The simplest moments, like a sliver of sunshine or a dropped object, earn gasps and whimpers from viewers, while the film's climatic scene, one met with cries and shouts, is viscerally tangible. Boyle calls the film, "an action movie with a guy who can't move." The new Blu-ray and DVD versions of “127 Hours” include commentary from Director/Co-Screenwriter Danny Boyle, Producer Christian Colson and Co-Screenwriter Simon Beaufoy - and Boyle praises Franco's technique throughiyt. There are some deleted scenes (including an alternate ending), featurettes about actual events that led to Ralston’s rescue and the collaboration between Franco and Boyle, as well a digital copy of the film. And absolutely no musical numbers.